Chiropractic is about the relationship of the spine to the nervous system. It is for far more than pain relief and musculoskeletal conditions. The nervous system maintains the body in a healthy state as long as there is no interference with the normal flow from the brain to the body. When disease or injury occurs chiropractic removes interference and allows the body to heal. What am I attempting to achieve? To care for and educate as many people in the Allen-area as possible about the extensive benefits of regular chiropractic care. 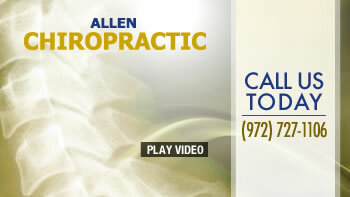 It is our intention to make chiropractic care available to as many Allen-area patient as possible. We accept various forms of insurance and will assist people in filing their claims. Our policies and procedures are designed so people get care easily and quickly. Being a chiropractor is the most fabulous job in Allen. There is such a sense of joy when someone heals and their life expression increases. There is great fulfillment in knowing that chiropractic care has released that healing energy. Being able to help people who are in pain or whose body is not functioning up to par and watching how lives can change after an adjustment is awe inspiring to me. Call our Allen chiropractic practice to arrange a consultation so we can explain how chiropractic produces results the natural way without drugs or surgery. I was beyond pleased with the personal treatment I received from the staff and Dr. Perry. I felt right at home and as if I had known them for years! Great first visit. Dr. Perry listened and asked questions. I know I am in great hands. treatment over the next several weeks. I have no pain and better mobility in my back and neck, very much appreciated! After only 3 visits, I was able to sleep through the night with no pain. Donanne is very courteous and helpful. Dr.Perry is very knowledgeable. They make you feel welcome and answer all of your questions. Incredible experience, I was limping from a surgery and was extremely misaligned. Dr. Perry has done wonders! Dr.Jane Perry, she is awesome. She is really sweet. I like her a lot I will refer to my friends.